Long Gemstone Bead Necklace. Colorful Bohemian Necklace. 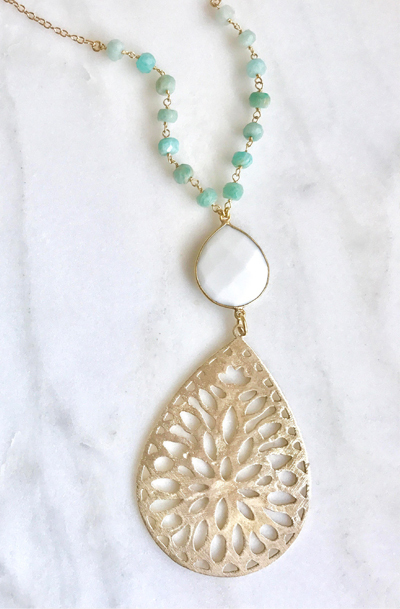 White Jade Necklace with Amazonite Beaded Chain. Gift Ideas for Her. Boho Jewerly. Long and lovely in design, and very feminine!